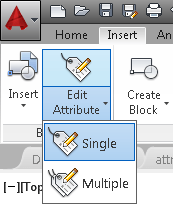 Choose Insert, Block panel, Edit Attribute, Single. At the Select a block: prompt, select the block with the attribute values that you need to change. The Enhanced Attribute Editor dialog box opens. Click the attribute whose value you want to change. 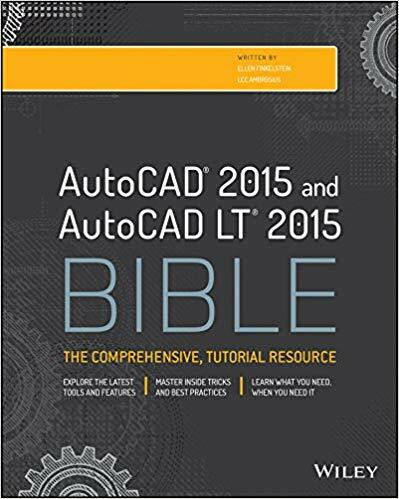 Depending on your version of AutoCAD, either select the value in the Value text box and type a new value or click the Open Multiline Editor button at the right to edit the value in your drawing and click OK in the Text Formatting toolbar. Do you have any tips for editing attributes? Leave a comment! If I just want to edit the value of a block I use ATTEDIT. Since I do this 100 times per day I have a one-letter alias set for it (V). I would use EATTEDIT if I wanted to change the width factor of the text inside an attribute. Coincidentally, DDEDIT gives you the same dialogue box. If you only want to edit one attribute value in a block, hold down the Control key and double left-click on the attribute. This opens only that attribute value in a pseudo-text editing window, allowing you to edit the value. Good morning, I don’t have a tip however I do have a question. I use many attributes in my drawings then extract them to a spreadsheet to create a schedule. My question is can I link the spreadsheet to my drawing, make changes in the spreadsheet which will reflect in the drawing attribute. I understand the basics of attributes as they work with handles etc? 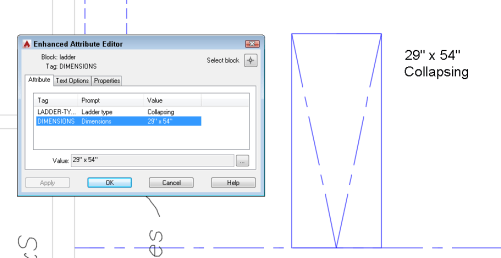 AutoCAD, as far as I know, does not natively link in attribute values to push back into a drawing in a live fashion. However, there are some tools that exist which can speed up the process. There is a third-party tool called Excellink, which is commercially available. While customer support isn’t very good, the tool is great for extracting attribute values from a single, active drawing, updating them, and re-importing back to the drawing. You will require Microsoft Excel, and need to be familiar with it’s peculiarities. If you need a free alternative, and have Express Tools installed, ‘Attout’ and ‘Attin’ work just like Excellink, but produce a .txt file which can be altered in a common spreadsheet program. The help files on these commands are solid. 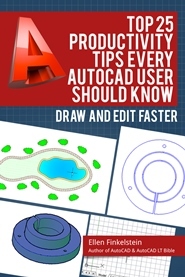 Unfortunately, the data extraction tool that comes with AutoCAD does not include object handle ID’s which are necessary for importing the information back into the drawing set. Otherwise, this would be a great option for batch extraction methods. But it can still be useful, if you don’t mind manually processing some of your data. No need to hold down the Ctrl, you can just double click the left-click (or Touch pad)which opens the “Enhanced Attribute Editor dialog box”. If you select the attribute > Right click > Click properties > then you can change the attribute value(s)you want.